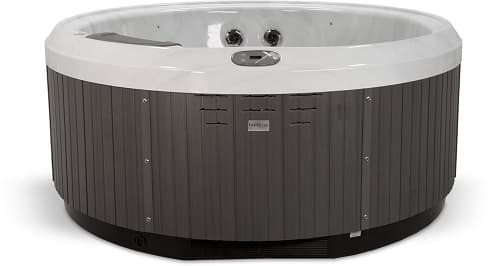 Bullfrog hot tub has several models with different series. Those are R Series, A Series, X Series and STIL. Although there are similarities, the all of the models are designed with different features and its superiority. 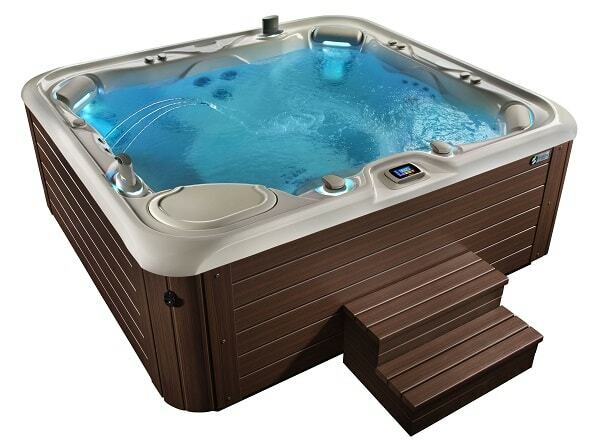 The hot tub models have standard to premium features and design which is up to 10 people for some units. This is one of Bullfrog hot tub that offers the premium luxury appearance and features. 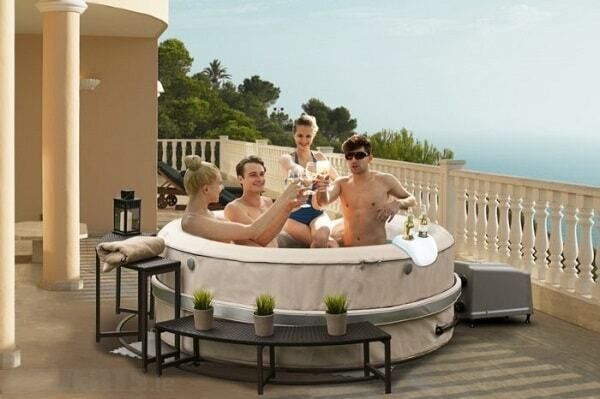 It is the best-selling hot tub up to 6 people. The A8D rates 7’10” x 7’10” with three feet deep. Jets are designed to hit your hip, wrist, calf, knees and foot areas. Furthermore, the standard jet stream can build including five JetPak with maximum 266 jets based on your choice. The series include the glowing spa lighting appearing beautiful glowing spa colors. Moreover, The A8D is completed by touchscreen controls that can you access from your mobile phone and WellSpring filtration system that keep the water always clean, clear and purify. This bullfrog hot tub offers the standard jets installed, you do not have to add for additional JetPaks. The series is wide enough that up to 5 people adult. The X6R hot tub has an amount of 21 jets, great water feature and LED lighting that can add a good mood and experience for your relaxing spa. Furthermore, the hot tub is installed with foam including the ozone as a part of filtration that helps the water staying clean and clear. This is a Bullfrog’s midrange models that provide A Series features and X Series standard price. It is the smallest model of R series which is designed for single, couples and empty-nesters. The R5L offers economical cost that available for two-person including one lounger seat. The hot tub probably can be added to the standard 14 jets, it depends on your choice that you have an amount of 98 jets stream. 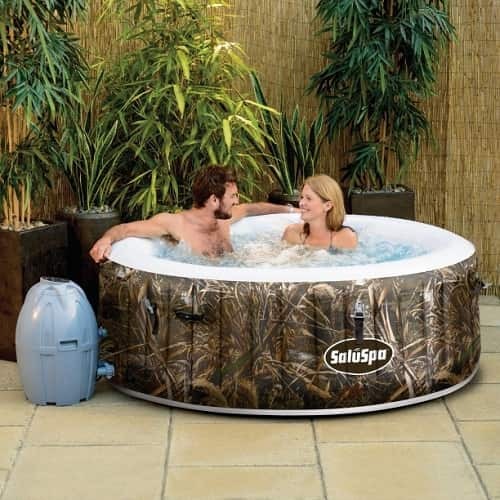 The bullfrog hot tub has a great and exclusive design. Furthermore, Bullfrog is famous with great and amazing JEtPak Therapy System. The JetPak which is used consists of large panels for several jet streams with a different feel and different power level. The strong jets can make you getting the unforgettable experience for therapy. Greatly, the JetPak has 7 jet streams at one side which are good for certain part of a body. The Jet matches for your shoulders, knees and thumps action. Meanwhile, for another JetPak panel, it has 45 small jets that do the hydrotherapy for your back. You can also select 16 different JetPaks to the standard jet with the basic hot tub that you choose. The Bullfrog hot tub utilizes WellSpring Water Care to purify and clean the water. The hot tub has filtration with dual filters system to run it well. Those filters circulate the more water through one time instead. So, the filters keep the water clean longer and pump quickly. With Bullfrog filtration working system also reduce the chemicals for getting the water purification. 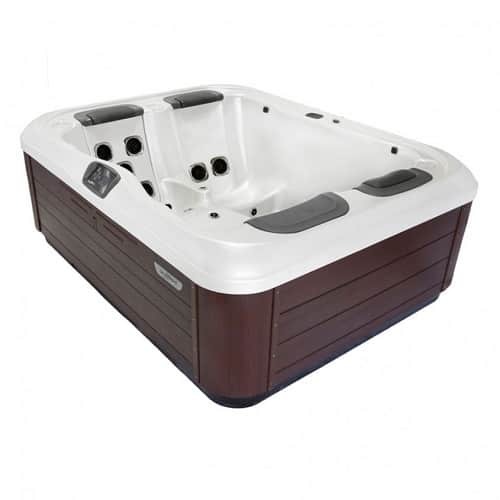 The all of Bullfrog hot tub have relative price depend on the hot tub quality and features. The cost of Bullfrog hot tub is so variated start from $5.000 – $13.000 based on models and features. 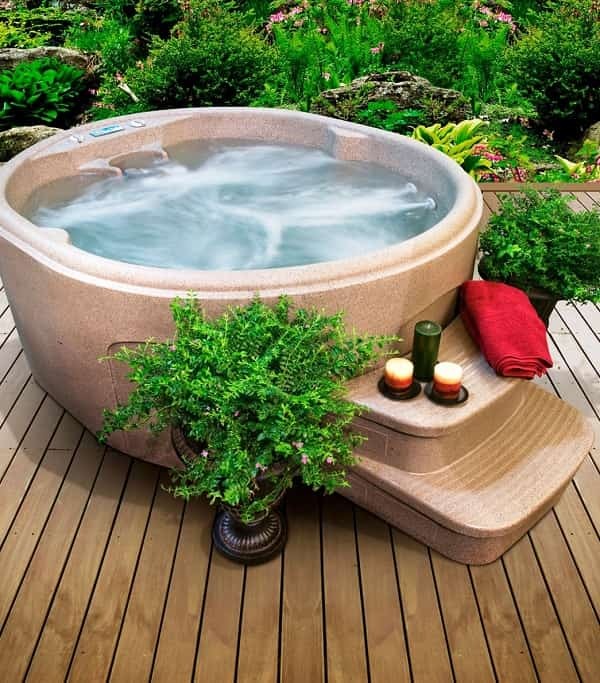 This kind of hot tub is suitable for home and garden spa. Placing at the patio or backyard can add elegantly your relaxing spa and therapy. 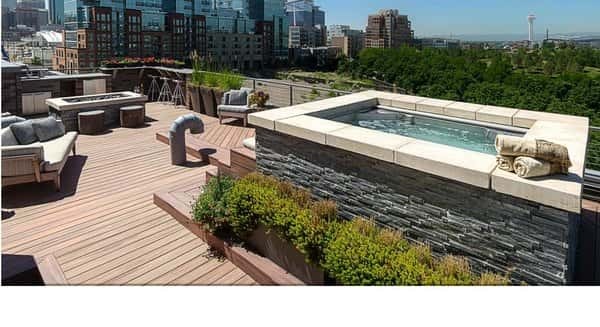 Although you decide to buy the hot tub with the lowest price, of course, you will still get the quality Bullfrog hot tub because it is designed by using premium features. Furthermore, if you pay an expensive price, certainly, you also can receive the best quality of Bullfrog hot tub spas. Do not worry, if you buy the Bullfrog model with the lowest price because the quality is assured.